The city known as Budapest actually consists of three cities: �buda, the oldest section, with Celtic and Roman ruins on the Buda side of the Danube; Buda in the gently rolling hills on the western bank, famous for its historic Castle Hill and beautiful residential area; and bustling Pest with its shopping, government and commercial districts on the flat plain of the east bank. 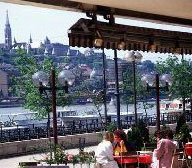 United in 1873, Budapest is renowned as the location of one of the most beautiful World Heritage sites. Only Budapest can say of itself that it has Europe's largest Parliament, largest functioning synagogue and the continent's first underground railway. The visitor will find side by side the remains of fortresses and buildings from Roman times, still operating Turkish baths, Gothic and Baroque buildings, and the incredibly rich Art Nouveau architectural heritage. Not only is Budapest the worthy holder of the title `Queen of the Danube`, but in fact there is no other capital city in the world with almost 100 thermal springs and 12 medicinal baths within its boundaries, where 19 million gallons of thermal water rise to the surface each day. Despite spectacular development, Budapest has preserved its old charm and magic. It is a city where the pleasing harmony of different architectural styles and superb structures, the caf�s, baths, the food and culture, combined with legendary hospitality blend into an unforgettable experience for visitors. For lovers of culture, the only problem is choice. 237 monuments, 223 museums and galleries, 35 theatres, 90 cinemas, 2 opera houses, 12 concert halls and nearly 200 places of amusement offer a wide variety of things to do. Travel agencies organize walks and sight-seeing tours by coach and boat, tailored to your requirements every day of the year. H-1061 Budapest, Liszt Ferenc t�r 11. H-1051 Budapest, Deak Square/S�t� utca 2. Exploring the city on foot is the best way to burn off all the calories from the delicious food and wine you will be enjoying. Start by strolling along the winding streets on Castle Hill, where the medieval character of Buda has been preserved. The entire panorama of the two banks of the Danube all the way from Margaret Island - Budapest's green Central Park in the middle of the river - to Gell�rt Hill and the Castle District has been designated a World Heritage preservation site by UNESCO. At the top of Castle Hill visit the Royal Palace, erected in the 14th century and rebuilt in Baroque style 400 years later. It was the residence of Hungarian kings for 700 years. Today it embraces the most visited museums and galleries in Budapest, such as the Budapest Historical Museum, Hungarian National Gallery and National Library. The 700-year old Matthias Church with its Gothic spire and multi-colored tiled roof is where the nation's kings were crowned. Now it is the site of organ and choir performances. Be sure to catch the sunset at Fisherman's Bastion, with its view of the river, Chain Bridge, Parliament building and Pest across the horizon. For a view of sights on both sides of the river, go up Gell�rt Hill to the Citadel. The hill is a protected nature reserve, in the middle of the city. The Citadel, built on the top of the Hill in 1851 as a military fortification, now serves as a tourist center. The hill is home to three famous and historic spas: the Art Nouveau-style Gell�rt and the 400 year-old Rudas and R�c Baths, the latter two built by the Turks. The capital's green belt, the Buda hills has memorable places for excursions. The hills and the Budakeszi Game Preserve are all part of the Buda Nature Reserve. Hungary did not destroy its Soviet monuments. The colossal statues in Socialist Realist style were moved to a fascinating open-air Statue Park Museum at Budafok (the bus departs from De�k t�r), dedicated exclusively to these relics of Soviet rule. If you are looking for antiquity, �buda is the place to see excavated ruins of the 2000 year-old Roman city of Aquincum. Europe's largest open-air arena, the amphitheater, mosaic-decorated villas, a military bath and the stone pillars of the water system can be seen there. In the Aquincum Museum valuable carved stones, wall-paintings and an ancient organ are on display. In the heart of �buda at the F. t�r (Main Square), old single story houses, excellent taverns and fine museums, such as the Vasarely Museum and Kiscelli Museum, create a unique atmosphere. You may walk from Buda to Pest on the Sz�chenyi Chain Bridge, the oldest one of the 9 bridges spanning the Danube. It has become a sentimental symbol of Budapest. You can continue your walk along the Danube Corso, or along the main pedestrian street of old Pest, V�ci utca. Elegant shops, fine caf�s and restaurants offer a great variety of merchandise, food and drink. The Inner City Parish Church in M�rcius 15 Square is the first church of the city. It has an exceptionally interesting interior. Walking further, the Grand Market Hall is the right place to buy the 'Hungaricums'. This building earned architectural recognition. The Hungarian National Museum is the finest monument of Hungarian Classical architecture. It preserves the historical memories of the Hungarian people from ancient times to our own age. One area that must be explored on foot is Erzs�bet Town, the charming old Jewish quarter. The Byzantine-looking Doh�ny Street Synagogue with 3,000 seats, is Europe's largest synagogue and the world's second largest after New York's Temple Emanu-El. Its excellent acoustics also make it suitable for concerts. The Jewish Museum, set up in its courtyard, has one of the most outstanding Judaic collections of Central Europe. Wander through the courtyards connecting residential buildings, forming a protective cocoon for the quarter. Then stop for pastry or lunch at one of several kosher restaurants and caf�s. The most beautiful monuments of Hungarian Art Nouveau are the Museum of Applied Arts with its rich collection, the dwelling-houses of Szervita Square (Inner City) and the former Post Office Savings Bank (4 Hold Street). The Parliament is the largest and most decorative building in the country. It has 10 courts, 29 decorative staircases, 27 gates and the first long distance district heating system in Europe. You will see the legendary crown jewels of King Stephen, which have a spectacular history, having been stolen or misappropriated at various times since the Middle Ages. After World War II, fleeing Hungarians brought them to the United States for safe-keeping. Former President Jimmy Carter returned them to Hungary in 1978. The St. Stephen's [Istv�n] Basilica, a neo-Renaissance church, raised to the rank of basilica minor, possesses the largest bell in Hungary. The Chapel of the holy Right [Szent Jobb] contains a jealously guarded treasure, a relic of the first Hungarian king, St. Stephen. It is his right hand which has remained intact for 1000 years. The Basilica's tower balcony offers a wonderful panorama of the city. It is worth continuing your walk along the strictly straight Andr�ssy Boulvard. Both sides of the Boulvard are lined by eclectic 19th and 20th century mansions designed with artistic thoughtfulness. The colossal Hungarian State Opera House has been the center of Hungarian musical life since 1884. The public can see its fresco-decorated interior, its auditorium seating 1200 spectators and its technical stage equipment in group tours. After a long walk or a nostalgic trip on the Millennium-underground we arrive to the imposing Heroes' Square. This is the entrance of Pest`s most important green area, the City Park. The sculptures commemorate the founders of the country and the great Hungarian kings, generals and politicians. 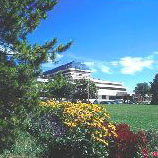 On the left side of the square, the Museum of Fine Arts contains richest art collection in the country. In its Antique Picture Gallery you can find the largest Spanish painting collection outside Spain and works of world-famous artists. The Palace of Art on the opposite side is a worthy venue for the most significant temporary exhibitions in the country. The Vajdahunyad Castle houses the Hungarian Agricultural Museum. Founded here in 1896, it is the first institution of its kind in the world. The park's pond not only offers romantic rowing in summer but gives pleasure to skaters in winter as well. The Sz�chenyi Medicinal Baths is the largest health spa in Europe. The Transport Museum is one of Europe's oldest collections of transport history. The Municipal Zoological and Botanical Garden is listed among the oldest zoos in the world. 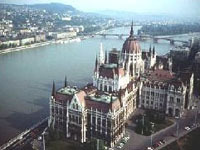 Its buildings were built in the famous Hungarian Art Nouveau style. In the neighbourhood, is the most elegant restaurant in the capital-"the Gundel"- which bears the name of the family that has become a legend in catering. The two popular places of amusement in the City Park are the Municipal Circus and the Funfair. The 100-year-old carousel, winner of the Europa Nostra Award, is still working. In the middle of Budapest and of the Danube, you can enjoy the green oasis of Margaret Island [Margitsziget], stretching from Margit Bridge to �rp�d Bridge. In summer, the Margaret Island Open-air Theatre offers musical evening performances. The Island was named after Princess Margaret, who lived in the ancient Dominican and Franciscan monastery of the Island some 700 hundred years ago. Explore on foot, by rented bicycle or by minibus. The gardens, the medieval church and chapel, the mini game reserve, swimming pools, spa-hotels, tennis stadium and 10,000 trees with rose-gardens make the island in the middle of the river seem miles away from the bustle of a modern city. 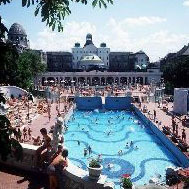 The northern section of the island is home of the turn-of-the-century Grand Hotel Margitsziget and the modern Thermal Hotel Margitsziget, the latter offering thermal spa and state-of-the-art medical services using thermal water springs on the island to cure different types of locomotor disorders. Prepaid phone card - Prepaid phone card wholesaler. Phone country codes, area code lookup - Area code search is easy. Check out our area code listing directory. Free classifieds - Free classifieds online. Russian translation - Russian translation services. Computer security, digital certificate authority signature - Digital security services by reliable vendor Digi-Sign INC. Recover Excel Password - Find a password for opening MS Excel spreadsheets. In some cases the passwords are restored in a minutes. All modern types of Microsoft Excel are supported in full.